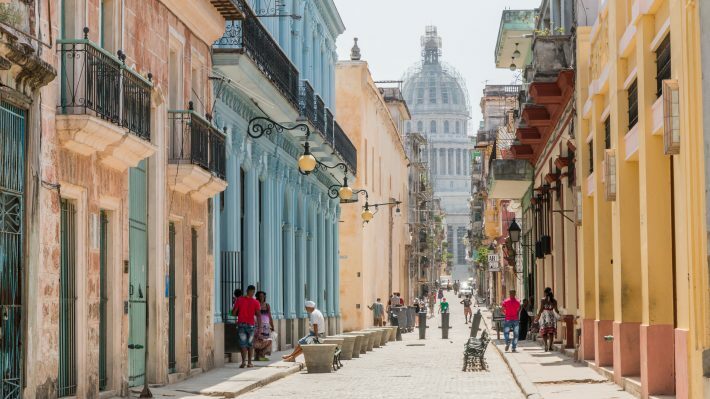 Cuba is one of the hottest travel destinations of the year and, as the curiosity about this Caribbean island grows, it is likely to stay so for the years to come. Traveling in Cuba is a very different experience compared to other destinations around the world and with tourism starting to develop even further, it’s useful to understand the different styles of traveling on the island, their pros and cons and which one suits each traveler best. We’ve discussed with other people that have been to Cuba about their trips, what they liked, disliked and what they would do differently if they had another chance to visit the island. Truth is, most have been on all-inclusive resort holiday, and only a selected few have experienced the country differently. Let’s compare the different styles of traveling in Cuba. This is our main style of travel and our trip to Cuba was no exception. We chose to travel independently on a road trip around the island, which proved to be both challenging and an amazing experience. It definitely made our trip feel like an adventure. The main positive aspect of traveling this way in Cuba is that you’ll get to see and experience a lot of places most people don’t go to and with a lot of added flexibility. For us, this is a key aspect of this style of travel and Cuba is an island begging to be explored, which suits this perfectly. Off the beaten path places such as Península de Zapata or Sierra Maestra are just a couple of examples. 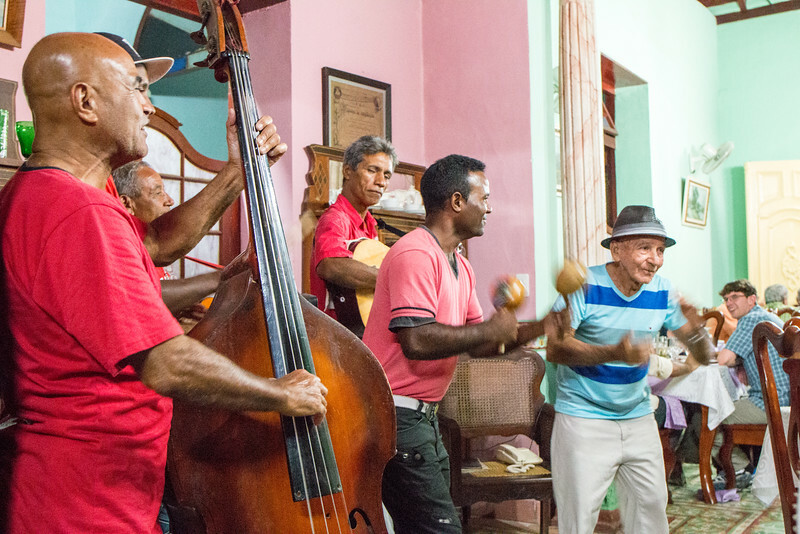 Culturally, this a great way to get to know Cuba and its people. During our trip, we stayed local with some families and learned a great deal about their lives and society. The downside of this style of traveling in Cuba is how challenging it is to prepare, even if you’re not a person that plans too much – like us. There’s not a lot of information out there and the infrastructures are still far from ideal. It’s helpful to learn some basic Spanish skills as this will enhance your experience and take you further. Even in Havana. We already have some articles to help you with traveling independently in Cuba, including all you need to know about driving and how to stay local at casas particulares. If you want to travel independently in Cuba but the task of planning a trip around the island sounds too daunting, you need someone to do it for you. Let us introduce ViaHero, a travel planning service that focuses on helping you travel like a local while simplifying the stressful part of planning the trip. With ViaHero you pick a local expert, known as Hero, that will help you plan a fully customizable itinerary for your trip. This includes all the information you need to get around on your own, plus it’s a great concept and you can use it for the whole of your trip or a specific region in Cuba. Because you interact with a local expert, adding unwanted things to your itinerary is less likely to happen versus other ready-made itineraries. This is an alternative that provides the best of both worlds, independent travel plus local planning knowledge. Also, you’re helping the locals, which is great. Short tours and trips are still developing in Cuba with most starting from Havana and having a duration of a day. Like in other countries, these tours are a good option because you can easily mix them with individual travel when staying in a city, while saving yourself from worrying about transportation or how to get to a certain place. Plus, these tours usually provide a guide which shares useful information about the places you are visiting. In the case of Havana, there are a number of tours available but most within the city itself. 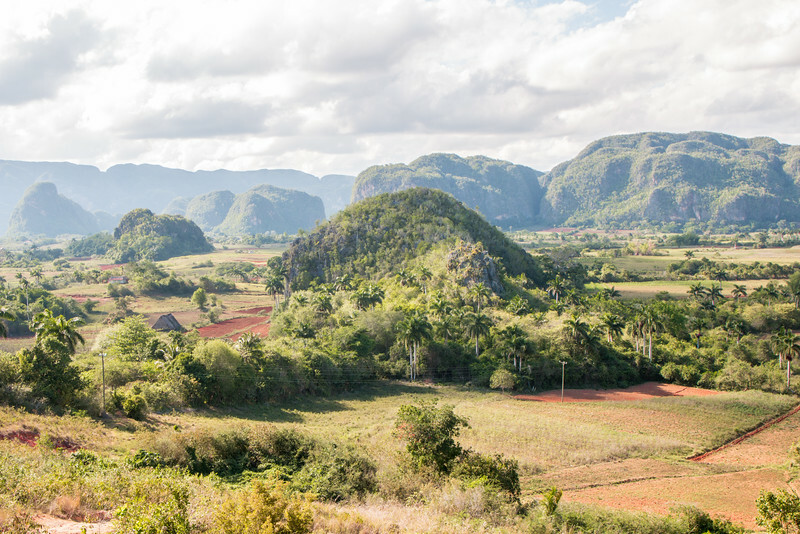 As for the ones that venture outside the capital, the most popular one has to be to Valle de Viñales, a beautiful must-visit nature destination in Cuba. Because a lot of tourists travel to Varadero, some tours start from there, including to the most important colonial towns such as Cienfuegos and Trinidad. Another example of a day tour is the one from Trinidad to Valle de los Ingenios. Day tours tend to have a packed schedule, start early and arrive late. This is a problem in Cuba since some of these places are quite far and transportation takes time. Also, you lose the flexibility to explore things on your own. With group travel you known in advance where you’re going and when. A guide will lead the trip all the time, with close to no planning required from you. Places to visit, where to stay and some meals are always included as part of the package you buy. This is a good way to see the highlights of Cuba. Some group tours allow for spare time and extra activities, which is ideal if you want to explore further and wander a bit on your own. Our suggestion is to pick a tour with a smaller group which is much easier to enjoy. Bigger groups tend to be more difficult to connect with your fellow travelers. The majority of people we know visited Cuba to go on a beach holiday at an all-inclusive resort in Varadero. This is by far the most popular option and, basically, the way tourism has been working on the island since it began. The beaches are stunning and the added bonus of getting to see Havana for a day or two are the main reasons why people pick this option. Obviously, having not to worry about a single thing during the stay at the resort is also an important and deciding factor. These resorts tend to have a lot of activities to keep guests busy and usually have a few tours or day trips available. One complaint that we’ve heard is people wishing they had more time to experience the island outside the resort and not only a glimpse of the Cuban life. Another con of this option is that other islands in the Caribbean have more competitive prices, yet this is likely to change once more flights and travel options become available. 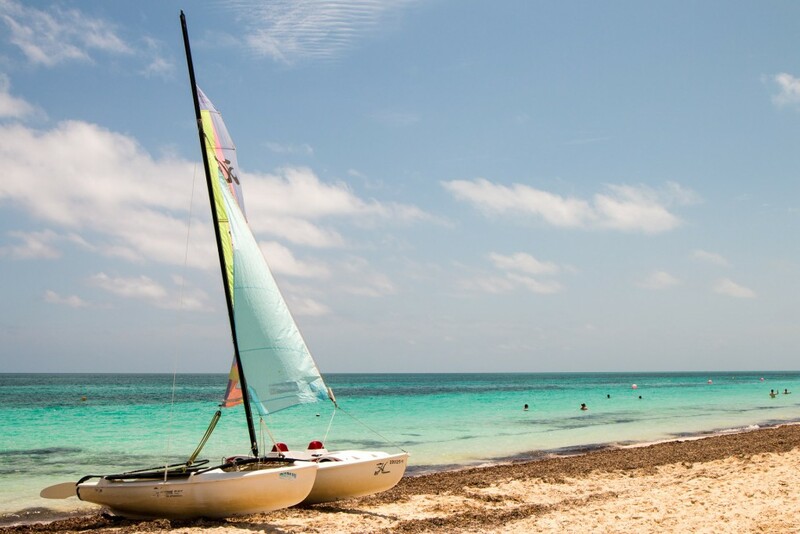 If an all-inclusive resort is your travel style and you want to try something different, there are other options worth considering besides Varadero. During our trip to Cuba, we spent a couple of days at one of these resorts in Cayo Coco and, honestly, had a great time. It wasn’t very busy and the place is gorgeous. As tourism grows, new resorts are opening on the island. What’s your travel style? 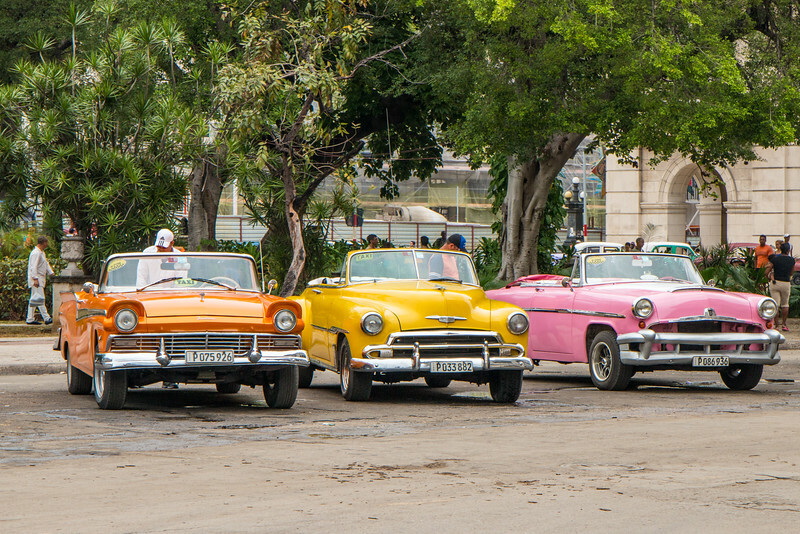 Which one do you think would suit you for a trip to Cuba? We had a very good and unique trip. Look forward to visiting again! 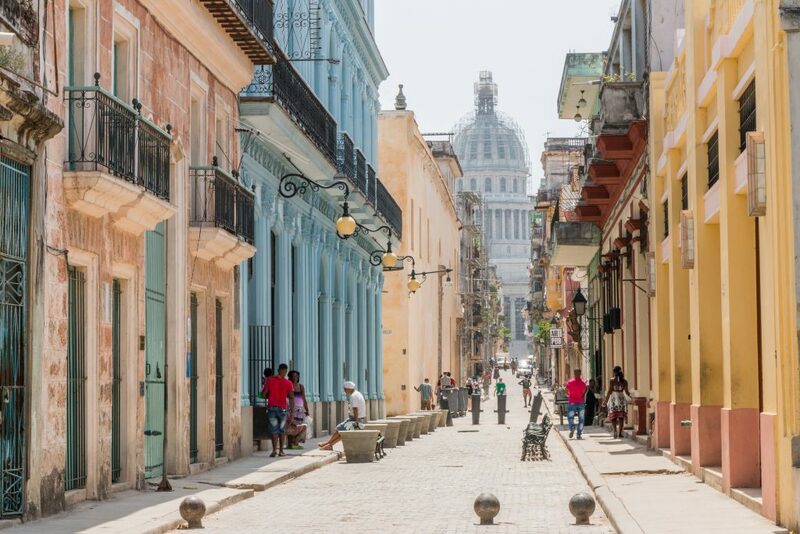 All of those tours outside of the all inclusive tour sound perfect, although I’m more interested in doing a self tour or custom made experience….Cuba is definitely on my list. What a thorough description of each travel style. It’s nice to see yours and others’ opinions of a single location. Thanks, Jess. Agree that that’s important and hopefully useful! We took a last minute and therefore very cheap 2-week all inclusive holiday in Varadero, admittedly a few years ago. We just rented a car for 5 days and went off on our own staying in casas particulares. Having the car was good also to see some places on the edge of Havana. There weren’t any road signs then, but we didn’t have too much trouble finding the way. Next time I think we would attempt to do more of it on our own. If you want to go, I suggest doing it soon. Some US airlines have now got permission to fly there. It is likely to become more Americanised and the charm will have gone. Looks like you had a good time with a mix of both worlds. And you’re right, road signs are a small problem but one easy to solve. It adds to the adventure. It will take a long time for Cuba to change deeply, especially outside Havana. The charm needs to remain while improving people’s lives at the same time. I would like to Cuba, but I have never thought about taking a road trip there. I like going to the beaches, but it would be a part of my trip. I would like to explore the country, nature, culture and meet new people. Cuba is very diverse and has all those things. Much more than most people think! I think we’d like to travel independently there as well–even if it is more of a challenge, it’s fun and rewarding to figure it out on your own! Having a local plan the trip sounds like an interesting option, too. I’m sure you’d get some interesting insights that way! We were just talking about possibly planning a trip to Cuba–would be a fun place to explore sometime soon! Indeed! It makes the trip feel more rewarding and special at the same time. Local knowledge is always important and that’s why staying at casas particulares will give you the chance to interact with the locals. Check it out for your trip there. When we visited Cuba we were in an all-inclusive resort. However, we hired a cab daily for tours daily. I wish to go back though as I feel like there are so many more places to explore. When we do, I think we will try an alternative to the all-inclusive resort. Hiring a cab is actually a good option since they tend not to be very expensive. To be honest, we were very surprised with the diversity of the country and the number of things to explore. Some completely off the tourist trail. Very comprehensive list on how to travel to Cuba. 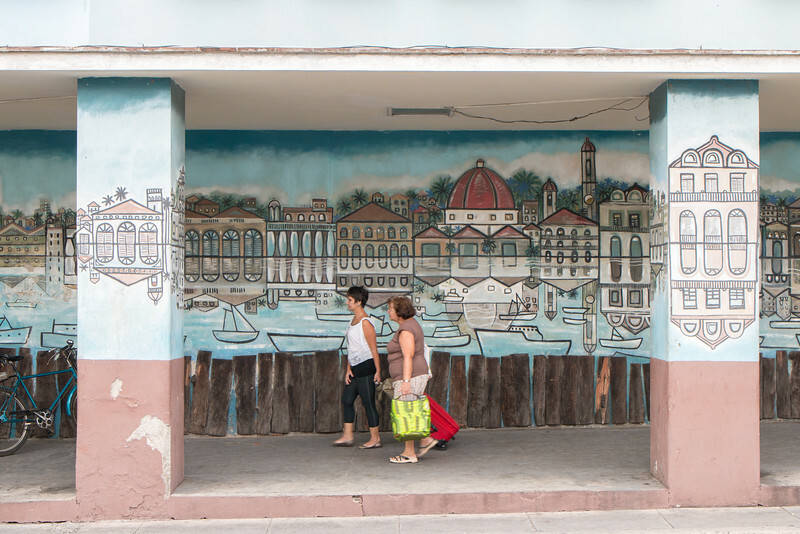 We went to Cuba with a group before the travel embargo was lifted. We had a marvelous time but I would love to travel there again on our own. Thanks, Sue. That’s usually the feedback we get from people that did it with a group. Hopefully, you’ll visit again but this time on your own. I’m not an ‘all-inclusive’ kind of person but I would do a mixture of independent and day trips. I’m intrigued about Cuba and do wonder if it would live up to the hype for me. I definitely have to go and find out! Yes, you’re right. That’s why we wanted to point out these travel style and how they fit Cuba. Obviously, they can also apply to other destinations but Cuba is still quite special. I usually like to schedule some tours so that I can get a mixture of guided and individual travel. A city tour at the beginning of the trip gives me a good run down so that I can do more exploring on my own later. That’s a great idea! It usually allows to gather a lot of interesting information about the country and the city. I wouldn’t worry much about major changes for now, especially outside Havana. There’s still a long way to go. Looking forward to traveling to Cuba this coming January. It will be with friends, with a rental car, and endless possibilities. I look forward to the adventures, and thank you for your information…it is most helpful.